I received this book for free from the author. This book was sent to me through Bostick Communications. Carole P. Roman entrusted a copy of this book to me in exchange for an honest review. 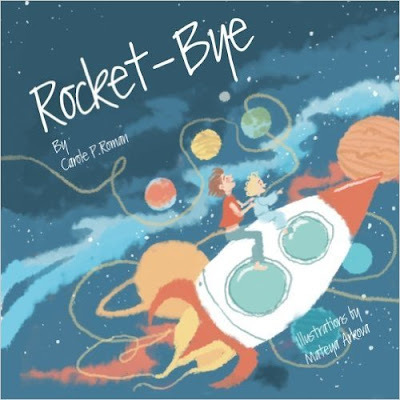 Synopsis: Carole P. Roman travels to the stars, orbiting the moon and rocketing past planets in this adorable journey to the far reaches of the galaxy. A beautiful bedtime poem, this verse is sure to delight any child before they go to sleep. Review: I would like to thank Carole P. Roman for sending me more of her books. Normally I keep all books sent to me; however, I will be giving this book to my nephew and "Can A Princess Be A Firefighter?" to my niece. I am giving them these books so that they can enjoy the amazing work that Carole P. Roman produces. This is such a brilliant book that I am positive that children of all ages and sexes will enjoy it. This should be on the bookshelf of any family with children. I would highly recommend this and all other Carole P. Roman books as they are well written and extremely enjoyable. This books are good for children as they are fun and educational.